Although recent reports may have scared potential home buyers with news of obstacles to the mortgage loan process, the actual situation is that credit is easing for home buyers. Reports indicate that the average FICO scores for mortgage loans is the lowest since 2011. Closing rates of loans remain high. Time to close loans dropped. Freddie Mac and Fannie Mae announced mortgage loans available for less than 3% down payment. In these competitive housing markets, losing when bidding for a house doesn’t mean you should stop taking action. You can always submit a back-up offer in case the first accepted offer falls through for various reasons. It costs you nothing to do so. For example, a housing inspection may reveal more deficits than the first offer buyers are willing to accept; and this fact will soften the sellers’ to another offer. The longer the property doesn’t close means possible difficulty in arranging the finances for the purchase. If you have a 30-day back up offer with good finance pre-approval your back offer may look very desirable to the sellers. Put your back up offer in writing including a right of first refusal. Making honest and accurate calculations of what you can truly afford in terms of monthly expenses. Online calculators are only a guide and in your desire for a good home, you may underestimate your expenses and overestimate your income. Additional costs that come with purchase: Besides closing costs which are beyond your down payment, be prepared for all the little things that add up when you move into your new home. It’s rare that everything is exactly as you want them to be. When you look at something outside your price range you can be very discouraged about the homes you can afford. Save yourself the misery. Talk to the neighbors and get the full scoop. The details about how it feels to live in a neighborhood will clarify whether appearances are deceiving or not. Having pre-approval rather than pre-qualified is crucial in a competitive housing market. You will need to provide paperwork to verify income: be prepared. 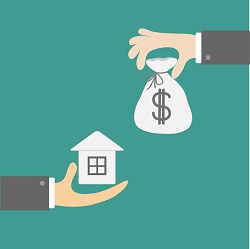 Make sure that your down payment is readily available. Negotiating for deficits found in inspections: this will save you thousands and remember that the sellers have reason to complete the sale of their property. Learn the details by clicking here. 1) The affordability of most homes especially in markets where demand far outpace supply. Among the states that are affected are: California, Oregon and Washington. 2) When the inventory of homes is tight, prices rise and eliminates many buyers. Median home prices have risen 6% over the last year. • The financial turmoil in China has affected Chinese buyers who are looking for investment properties or homes. • Although Chinese buyers may move into uncertainty, they are seen as a strong source of buyers of real estate. Last year they surpassed Canadians in buying U.S. real estate at the tune of $29 billion. • Median household income($66,637) still outpaces what is needed to afford a median single-family home($43,536). People who are concerned about the current housing market being a housing bubble are being reminded that the last bubble in 2006 was caused by lenders’ use of free and easy credit. This is not the situation now: the price in home prices is due to high demand and low inventory, quite a different situation. It’s hard to believe but 21% of home buyers put an offer to buy without seeing the home in person. Millenials are most likely to do, and even those purchasing a luxury home. Why? The technology to view the interior and exterior of homes through the current up-to-date technology provides enough information to prospective buyers. 1/5 home buyers buy without seeing their purchase in person. Buying Beats Renting in 23 large cities according to a recent study. This is especially true of Cleveland, Cincinnati, Chicago and New York City. Since buying is enforced savings and ability to grow wealth through the appreciation of the property, this report is a confirmation for those looking to purchase a home. This is true of 66% of the housing markets nationwide. One unexpected culprit in explaining the issue of low inventories in the housing market. The usual are: homeowners still under water in their current homes; the large number of foreclosed homes on the market; the lack of new single family home being built; houses that are used for rentals. Demographics is being described as one of the factors: Generation X who are now between 30-40 are a smaller group in number than the generation before. This is the decade when the current generation is expected to be buying homes. There are simply fewer of them. As you will learn below, now is the time for anyone looking for home for sales in Napa, CA to get into the housing market. Call Judy at (707) 266-8211 if you have any questions. Conditions related to the current real estate market situation are reported below. They include the factors that indicate that if you intend to purchase, now is the time to do it. The market has stabilized and home prices will continue upward. Mortgage interest rates will probably remain low for the next period of time although experts are predicting an increase near the end of the year, as was predicted for the end of 2014. Perhaps the most encouraging news is the fact that there are 2,300 down payment assistance plans available to more than 87% of households nationwide. You will also find median home prices in various locations to get a sense of what is happening nationally. Home prices are definitely on the move upward because of low inventory of available homes, according to Daily Real Estate News. Added factors are the job market that is strengthening and mortgage interest rates remaining low. The national median price of existing single-home price that was up 6% over year at $208,700. What is more, 86% of median existing single family house price rose in metro markets that were tracked. However, looking at the four regions of the country, in the West in general, while sales fell 6% in this last quarter and are close to where they were a year ago., the median price was up 4.8 % compared to last year, standing at $299,500. The rise of housing prices continues with the median sales price in August 2015 rising to 9.3%, from $550,000 compared to $503,000 the year before. Continuing the trend of low inventory, the number of properties for sale went from to 368 from 450 the year before in August. More homes were sold in August 2015 than a year before, 119 versus 92. There were more pending sales, 146 versus 117 in August, in a yearly comparison. Continuing in the same vein the average days on the market for those properties that were sold was down from 70 days to 62 days. from Coldwell Banker. Optimism and confidence increased among realtors who noted the strengthening economy, the continued low interest rates and loosening mortgage credit. The states with the strongest outlook are single-family home sales are: Texas, Colorado, and North Dakota. For first time buyers, the price in home prices is expected to moderate in 2015, according to a survey of 4,000 realtors about their local markets. The expectation is for a 3.2% rise in general. More is expected, 4-5 % in D.C., Nevada and Florida. Did you know that nationwide there are 2,300 down payment aid programs available? According to a new study, 68 million single-family households and condo household could qualify for some down payment assistance. Potential home purchasers are encouraged to look into what is available in their county when they are looking for a mortgage loan. Even if you are not a first time homeowner such assistance may be available to you. If you’re located in California, Florida, Texas, Maryland, New York, Georgia, Pennsylvania, Massachusetts, Illinois, and Colorado, there are more such programs for you to explore than in other parts of the country. The average aid is $11,565 for assistance with your down payment. One program results in a reduction of down payment needed from $20,000 to $200. Of the 10 counties having the most households qualifying for down payment assistance, there are two in California: San Diego county and Los Angeles county. The domino effect explains how the slowdown of luxury home sales allows movement in the middle tiers so that households who have been waiting to move up have the opportunity to do so. First time buyers also will find more openings in the lower tiers partly due to the slowdown of investor activity at that tier of the housing market. Delinquency in mortgage payments and foreclosures are down to pre-crisis levels. The information reported in the paragraphs above was culled from February issues of the Daily Real Estate News. At the end of the week, 2/26/2015, these were the rates reported according to Freddie Mac for the Western region of the country. Please call Judy Naimo at (707) 266-8211 for any questions related to homes for sale in Napa CA. She comes highly recommended.